Sloting Plus 3D printed chassis for the Scalextric BMW 125i. ABS flexible plastic - weight approx. 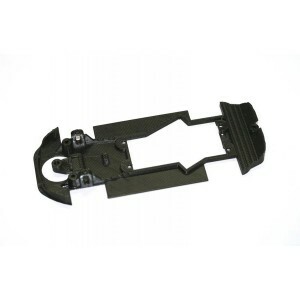 8,8 gr - 2 allen screw M2 x 4 mm + 2 allen screw M2 x 5 mm - for use with Slot.it motor mounts - bag with 1 unitAll Sloting Plus 3D chassis are made of ABS flexible plastic. The chassis includes four Allen screws to correctly adjust the front axle.